I see more and more people advertising distance Reiki courses at every level – Shoden I, Okuden II, Shinpiden III – and to me this is a bit sad to see. Of course we all have our own journey to make and I do not mean to say that one path is better than the other. But let’s take a closer look so you can see what I am trying to say. The system of Reiki is traditionally a meditation practice to lay bare your own inner great bright light. It is not just about getting a reiju/attunement/initiation and then – presto! – off you go and heal the world. There is so much more to the practice. The art of meditation is not just doing a breathing practice which you learn online through a written text or a video. Real meditation practices you have to learn from a qualified teacher in person. Why? Each meditation practice and each person who practices the system of Reiki is unique. A good teacher needs to – wants to – see the student: how do they do the breathing, how are they sitting, what is their mind doing during the meditation practices, etc. This we can only really observe through an in-person class. One other element is that a good teacher wants to observe a student when they perform a hands-on or off session so they can guide the student to become a more well-rounded practitioner. What does the teacher look for? How does the student stand or sit, how do they place the hands, what is their breathing and their mind doing, how do they respond to questions or comments from the person they are working with… Again we can only fully observe this and offer support and feedback through being with a student in person, not just by watching each other through a webcam. That’s not to say that a Reiki class can not combine online and in-person teachings if a teacher wants to teach in this way and wants to offer their students this option. But a completely online Reiki class, while it may allow students to follow their own time schedules and may eliminate the need to travel to class, also seems to me to eliminate some very important elements, or to diminish them. Of course we want to believe that everyone’s motives are pure, kind, and for the benefit of all, but we may wonder why people start to offer distance Shoden Reiki I, Okuden Reiki II and Shinpiden Reiki III classes. We might ask – is it because they just want to make money? Of course money is wonderful, but as this is a spiritual teaching, I wonder how much really can be conveyed through distance classes, especially to students who may be in the early stages of their spiritual development journeys. The reiju/attunement/initiation is yet another important element. Once again, the teacher needs to see if the student is sitting in the correct posture, if their breathing is correct, if their mind is in the right state of mind. Why? Because it takes two to tango. The reiju/attunement/initiation is not a one way street in which the teacher does something for you. If we think that, then we have misunderstood what reiju/attunement/initiation is all about. Therefore a real reiju/attunement/initiation needs to be in-person so that the teacher can observe and support the student so that they are in the right space – mind – body – speech – for the reiju/attunement/initiation. 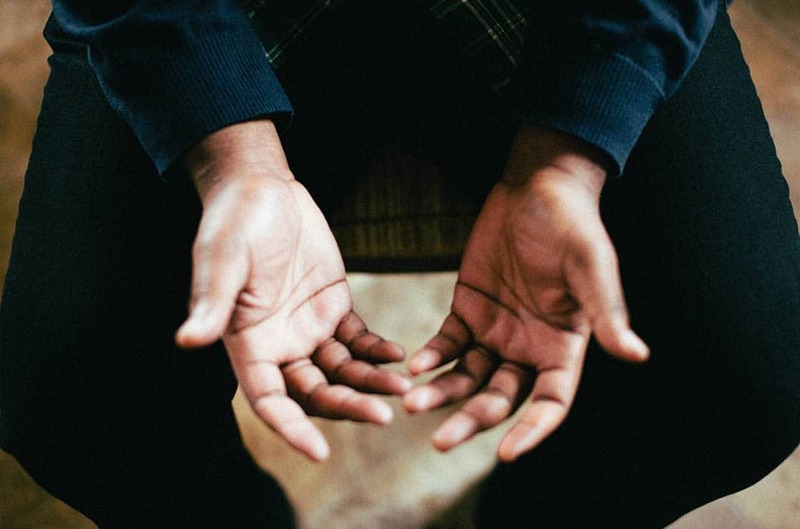 With an online Reiju, a student’s face may look focused and calm, hands perfectly held in gassho, but out of view, their foot could be tapping a mile a minute in restlessness and / or anxiety. In an in-person class, the teacher can more clearly see all the nuances of what a student is doing or experiencing and can respond to that. And sometimes during a Reiki class, things can get emotional! Whether during meditation, hands-on or off healing, or Reiju, a student may experience strong reactions. When this happens, being with the teacher and with other students can have a calming effect. For example, if a student starts to cry while the group is practicing, a touch on the shoulder or a hug can be invaluable and just what is needed. And along with emotional support, another point to make is that in an in-person class you see how other people practice; a group format brings up questions and experiences which you can not duplicate online. There are many more elements which make it important to do an in-person Shoden Reiki I, Okuden Reiki II and a Shinpiden Reiki III class. We can say the same if we learn how to ski or how to play a violin for example. Yes, we can do an online course, but what do we really get or become? So don’t cut yourself short, go to a good teacher who will teach you in-person so that you get the most out of the system of Reiki and your own personal practice. Thank you so much Frans for this post. I agree with you on this topic. Your words are very much appreciated! I agree wholeheartedly, I think it is so sad to see online Reiki courses, the students of such courses possibly dont know what they are missing out on. It’s an interesting topic. I became very interested in reiki after being in a near fatal car wreck and being under a doctor’s care for 2 years as a result. I found a reiki practitioner (5 hours from where I live) and got a couple reiki treatments. I found the effect truly profound. I also got The Reiki Techniques Card Deck and started practicing self reiki with those cards. The practitioner I went to combined Usui reiki with a variety of Wiccan practices. A couple years after that we finally had a Reiki Master in our town offering classes. I was excited and took my first in person class. The Reiki Master combined Usui Reiki with Seichim Sekhem Reiki…I came away from that class feeling a bit confused and there wasn’t a lot provided in the class about reiki beyond a few Xeroxed copies of pages from a reiki book that she handed out and I felt myself more drawn to SSR than Usui probably because she emphasized SSR more…a year later when she was offering her combined level 2 class for $275 I had no interest. Then I happened to hear about something called “Crystal Reiki” and I felt inspired and excited and looked into it since I have already been doing crystal healing for years. It was an online course but I had to be at least a Level 2 Usui practitioner in order to take the course. I discovered the same teacher had a Usui Level 1-3 course online available as well. So I signed up. It took me months to complete the Usui course. Written tests and practical exercises included at each level. I learned so much more about reiki in the level 1 of that course than I did in the in person class I had taken. It inspired me to complete all three levels. I have lifetime access to the videos and course materials from that course…plus I bought the teacher’s reiki manual on Amazon. I joined the online community and interact with the teacher and others who took the course all the time. I feel so supported and can ask any questions any time. I developed a daily practice of meditation on The 5 precepts and doing self treatments because of that course and The support. It has been incredibly beneficial to me. The distance attunements were amazing and mind blowing experiences for me. I paid $150 for my in person Level 1 class and paid $20 for the online Level 1-3 class. It seems like the in person classes are more about making money than the online classes because they are so expensive. 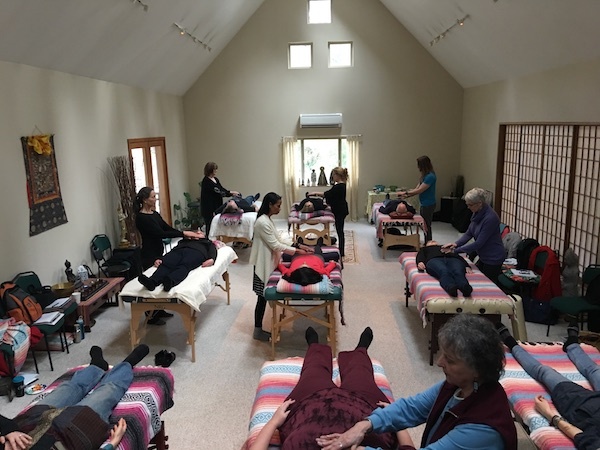 And there doesn’t seem to be any standard when it comes to what you may get out of an in person class since there is such a broad spectrum from reiki master to reiki master. I think stereotyping online vs. In person teachers/training is pointless since the spectrum on both ends is so diverse. My feeling is that reiki practitioners and really anyone practicing alternative medicine/energy healing already battle enough scepticism and attacks from the mainstream and public at large that it makes no sense at all to start denigrating each other over how we teach and how we learn when we would be best served putting that effort towards fostering support and unity amongst ourselves. Thanks for your thoughts. I agree and disagree with you. It’s true – some in-person classes just don’t cut it. Recently I spoke to someone who was enquiring whether a 3 hour Shoden class would be beneficial. When I went through everything that you learn in Shoden – it was absolutely impossible to fit it into 3 hours. So, if this person took this brief class then she is obviously getting short shrift as far as learning the system of Reiki. (But at the same time I am guessing that a 3 hour class would be fairly inexpensive). I may be wrong but it feels to me that there has been a lot of great self-regulation within the Reiki community over the last 20 years. If I think back to how things were in the late 90s, before there was any solid research into the system’s roots, there was a lot of stuff that it called itself Reiki when it its connection to was actually quite negligible. I feel fortunate to have been a part of this self-regulatory change after having been a member of some great Reiki associations here in Australia as they work towards grounded inclusiveness. I also agree that online courses can be beneficial. We have a number of stand alone online courses that we provide to those who have already taken Reiki classes and we support all of our students at our online Ki Campus website – specifically created for students. Each of our Reiki classes also comes with post-course online training at the Ki Campus. When you talk about in-person courses being expensive, in reality we would make a lot more money by “selling” Reiki courses online as they need only be created once and that is it, but we don’t as that’s not what the system of Reiki is about. The issue is, is that learning the system of Reiki is not like learning to become a lawyer or economist or history teacher. It is not solely an intellectual task. It is also an energetic and spiritual practice. When we study the system of Reiki we begin to feel things energetically, and our lives begins to shift spiritually. A student should not be alone during this growth, a student requires support and guidance. When you learn the traditional Japanese meditations, a teacher can help you by actually watching and seeing what is happening as you practice. When a student feels overwhelmed when performing a Reiki treatment for the first time, the teacher knows when to intervene if necessary. The teacher is there when you just need someone to sit with after receiving a moving attunement. It is a personal experience. And it’s not just the teacher but the other students that you learn with – the group energy which is so very different to working at home alone on your practice. Its also taking the time out to be with others away from your normal environment as you begin to create a personal practice. And apart from all of this, I also find that, with something as esoteric as the system of Reiki, the greatest difficulty for a student is confidence. Our confidence grows as we see and experience for ourselves and receive feedback. A teacher can chat online with you but it is never the same as the teacher being there in-person, following your development and you absorbing their energetic knowledge.